Legacy is a new, sophisticated method for consumers, funeral homes and cemeteries to connect loved ones life legacies to their tombstones in cemeteries. Family members can use any cell phone to snap a photo of an otherwise unaltered tombstone and text it to an address to receive a reply mobile site link which would showcase a person's life in documents, pictures and video. Since Mobius can recognize each image as its unique fingerprint and no two tombstones are exactly alike each person's tombstone would directed them to their unique legacy mobile site. In this way kids and grand kids could be reminded of all the fun things that happened at grandma's house when visiting the cemetery on those holiday occasions with a visual gallery of a life lived loved and enjoyed. When you snap a photo of a tombstone that is registered with our Mobius Legacy engine and send it to legacy@agm.tw, Legacy immediately identifies the tombstone and sends details about the person and their life's legacy information back to the sender. You'll also receive links to other related sites like ancestory.com, or Facebook and other social links, if they were registered with the Legacy engine. All the images and information remain accessible on your mobile device after your initial viewing. Legacy plugs in to social media platforms, so viewers can share and discuss the person's life after they have left the cemetery, with friends and loved ones. Legacy securely processes the tombstone images using secure communications and each tombstone can be setup to be public and or private. Use Legacy to multiply your sales potential. Simply take a photo of the tombstone that is sold and upload it to us after the tombstone is placed. The Legacy engine will guide you through the setup process where you'll fill in the persons information, upload pictures and videos and provide additional details about their life's legacy and related links. From then on, when a visitor takes a photo of the tombstone and sends it to legacy@agm.tw, they'll receive details about the individual and their life's information that remains accessible after on their mobile device even after they leave the cemetery. They'll also receive links to other works that are registered with Legacy user posted, which could be works of art, or accomplishments and inventions or anything else that the family chose to share with the world. This service is positioned to be an additional revenue generating opportunity to help memorialize their customer's life's legacy. The relatives of the deceased loved ones can also configure the information if they are technically inclined. The Legacy service in itself is free to use by the viewing public, but users setting up the service will pay any data charges associated with their mobile phone service contract. Legacy does charge funeral homes and cemeteries a nominal transaction licensing fee which can be paid by credit card if they are the ones setting up the service for their customers. You can now setup a personal Legacy site for your loved ones even after many years have perhaps passed since their departure from this earth. The process is simple and it starts with a snaping of a picture in the cemetery of their tombstone. The reply we send back with instructions works with any mobile device. If you happen to have a Smartphone those are also supported using picture messaging. For the Apple iPhone an application is available for download at legacy.mobiusworld.me/iPhone. To register your device and choose if your tombstone will become interactive with Legacy, simply take a photo of the tombstone and text it to legacy@agm.tw. Legacy will guide you through the setup process where you'll enter information about the person, their life's details and any related outside ancestry connections. From then on, when someone takes a photo of your loved ones tombstone and sends it to legacy@agm.tw, they'll receive details about your loved ones details you chose to share. These could be their work, and life's legacy information. They'll also receive links to other social connected sites that you have registered with Legacy. You can also plan your own legacy while you are still alive to execute as you wish, long after you have passed away. Imagine sending your grandkids a video recipe for grandmas special cookies or a birthday wish to your grandkids when they turn 18. You could send us and schedule a personalized video to your wife or husband to be sent out every year on your anniversary. Simply email your video from your phone or tablet and setup the times and dates when you would like it sent out and to whom. You can use text or email and even place an order for your kids birthdays with a cake or wish for every birthday until they turn 18. It is your way to reach out and personally touch someone from the afterlife, it's your legacy the way you want it scripted. You can send them pictures or video and even schedule in your own text messages at times you choose. You can setup RSS news feed triggers to scour the papers when your name appears in the local obituaries to set the whole event in motion. You can be as creative and as imaginative as you like. Send everyone at work a song to remember you by, or those wilted flowers to your ex. Have fun it's your life and your mobiLEGACY. Imagine a completely automated legacy wealth distribution system you setup and set in motion upon your departure from this earth. You can schedule and automate your bitcoin distribution on a timely basis to your family members and loved ones in the appropriations you choose. The mobiLEGACY system would automatically start to distribute your wealth as you planned. You can have your will created in such a way that your personal belongings would be auctioned off and your financial wealth converted to bitcoin. That wealth could now be distributed worldwide to any family member or friends on a scheduled basis you specified in your living will and testament. The mobiLEGACY system is completely anonymous and you could even choose to let your identity be known or unknown to your loved ones. 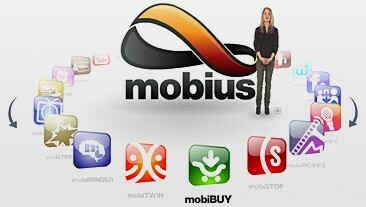 Finally a mobiLEGACY system you set in motion without banks, executors or government involvement. When you see a tombstone or monument that is tagged with Legacy instructions, simply take a photo of the tombstone with your camera-enabled mobile phone and send it to legacy@agm.tw. You'll receive an immediate reply with information about the individual, their life's story and any related information their family chose to share. The Legacy service in itself is free to use by the viewing public, but users setting up the service will pay any data charges associated with their mobile phone service contract. Legacy does not charge schools and tours at cemeteries a transaction fee when interacting with existing legacy enabled toumbs.